RAMP is committed to protecting the public and their animals, and promoting public confidence in the animal musculoskeletal occupation it registers. 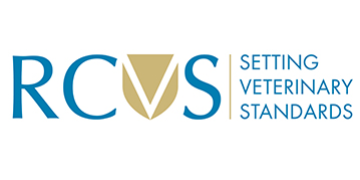 The RAMP register is intended to help veterinary surgeons and animal owners choose professionals providing chiropractic, osteopathic and physiotherapy techniques who are not regulated by the RCVS for the treatment of animals. The ABVA maintains standards of education, ethics, practice and discipline to ensure the health and wellbeing of animals in the UK. It provides a basic standard for the clinical application and integration of this ancient yet progressive medicine into veterinary practice. The IAVC is a private educational institution founded to provide high quality post-graduate level courses to veterinarians and chiropractors. This site is designed to provide information regarding the Academy, its course offerings and veterinary chiropractic in general. The British Veterinary Association (BVA) is the national body for veterinary surgeons in the United Kingdom and is a not-for-profit organisation. Its purpose is that of knowledge dissemination, and not professional validation or academic competence. The IVCA is an international non-profit organisation dedicated to promoting excellence in the field of Veterinary Chiropractic. The association endeavours to establish consistently high standards of Veterinary Chiropractic through approved educational courses, certification examinations and the membership code of conduct and standard of proficiency. The British Veterinary Chiropractic Association (BVCA) is a national non-profit organisation dedicated to promoting excellence in the field of Veterinary Chiropractic in the United Kingdom. 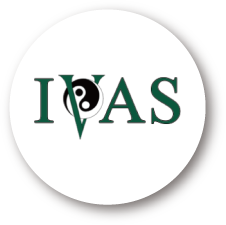 The International Veterinary Acupuncture Society (IVAS) is a non-profit organization dedicated to promoting excellence in the practice of veterinary acupuncture as an integrative part of veterinary medicine. IVAS is an incorporated educational and membership based organization.